The Clayton Library in Houston was one of the many reasons why I moved to the Gulf Coast of Texas from Northern California. The Clayton Library is recognized as one of the nation’s top genealogical research collections. It received this mark of distinction for its extensive collections covering the entire United States, as well as international sources for Europe, Canada, and Mexico. In addition, Clayton has 100% of its books in open stacks for public access. The Clayton houses nearly 100,000 research volumes, holds over 3,000 periodical titles, and has an extensive microfilm collection. 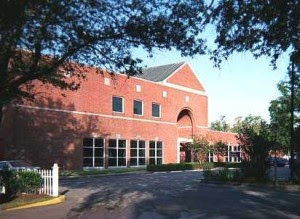 The Main Building of the Clayton Library Center for Genealogical Research at 5300 Caroline Street in Houston, Texas opened to the public in 1988. The Clayton Library Center for Genealogical Research covers a two city block area in the heart of the Houston Museum District at 5300 Caroline Street. Originally, the genealogy section of the Houston Public Library (HPL) was located in the Julia Ideson Building in downtown Houston. The genealogy collection was moved to the Clayton House in 1968. This property was donated to the HPL by William Lockhart Clayton (1880-1966), a prominent statesman and business leader and his wife, Susan Ada Vaughan (1881-1960). The historic home of William and Susan Clayton became the Clayton Genealogical Library in 1968. The continued growth of the collection and tremendous increase in use stimulated plans for a larger facility. The property now consists of four buildings: the Main Library Building, the historic Clayton Home, the Clayton Guest House and Clayton Carriage House. 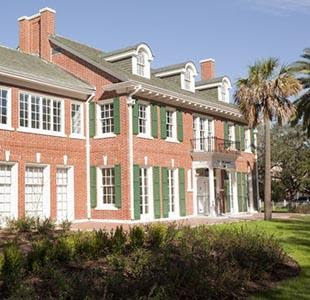 The historic property went through a 7 million dollar renovation that was completed in 2009. The two story, Main Building built in 1988, contains 23,000 square feet. The first floor houses the main genealogy book collection, two small conference rooms, seating for 100 customers, work areas, and the unique collection of over 15,000 published and unpublished family histories. The second floor houses an extensive microprint collection. Last week, I discovered another Clayton Library located in the Los Angeles metropolitan area. The Mayme A. Clayton Library and Museum (MCLM) maintains the world's largest collection of rare books, documents, films, music, photographs and memorabilia on the history and culture of Americans of African descent. 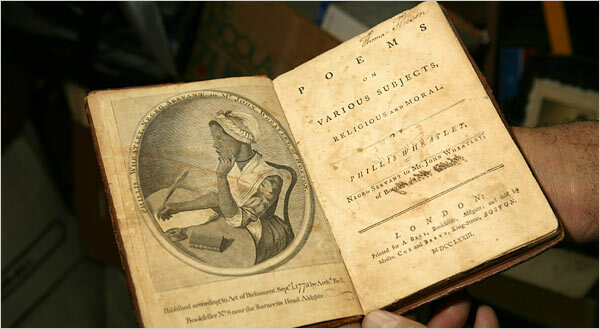 The flagship Literary Collection contains over 30,000 volumes including a rare copy of Phillis Wheatley's poems published in 1773. The Literary Collection is particularly strong in the arts, pre-Civil War, sports, children's literature and the history of blacks in Hollywood, Los Angeles, California and the American West. The mission of the MCLM is to collect, preserve, exhibit and celebrate the unique history and cultural heritage of Americans of African descent. Poems by Phillis Wheatley are part of MCLM collection of rare books. I had the opportunity to tour the museum with the Director, Lloyd Clayton. He walked me through the galleries, archives, and meeting facilities located at 4130 Overland Avenue in Culver City in the "Heart of Screenland". 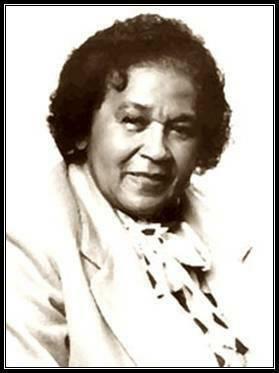 The MCLM was originally founded as the Western States Black Research Center in 1975 by his mother, Dr. Mayme Agnew Clayton, Ph.D. (1923-2006). For more than four decades, Dr. Clayton single-handedly amassed the world's largest independently held collection of African American history materials. Dr. Clayton spent her time and resources collecting these artifacts "So children will know that black people have done great things." The MCLM offers vital educational, artistic and cultural programs that include research for scholars, students and genealogists. The library partners with the California African American Genealogical Society, Inc (CAAGS) by providing meeting space and access to the library and archives. For more information on the Mayme Clayton Library and Museum, visit their website and Facebook page. Both of these institutions are known locally as the "Clayton Library." Both libraries are filled with unique treasures for historians and genealogists. I am headed to the Clayton Library in Houston, this week. I plan to spend much more time at the Clayton Library in Culver City on my next visit to Los Angeles. Another historic coincidence of the connection between Los Angeles and Houston. Read more about the Los Angeles to Houston Freedom Ride.